Thanks David. It's just as I remember it and as I described in the other thread. Left side; the triangular yard with the dinner hall and girls lavs. Middle ground is the boys yard with walls either side - I think the boys lavs were on the near (Akenside St) wall so out of view in pic. Right side is the big yard for little kids. On the far right of this yeard is the lavatory block and on the left, alongside the wall next to the boys yard is the "modern" building in front of which Mr Williams' memorial garden was built. 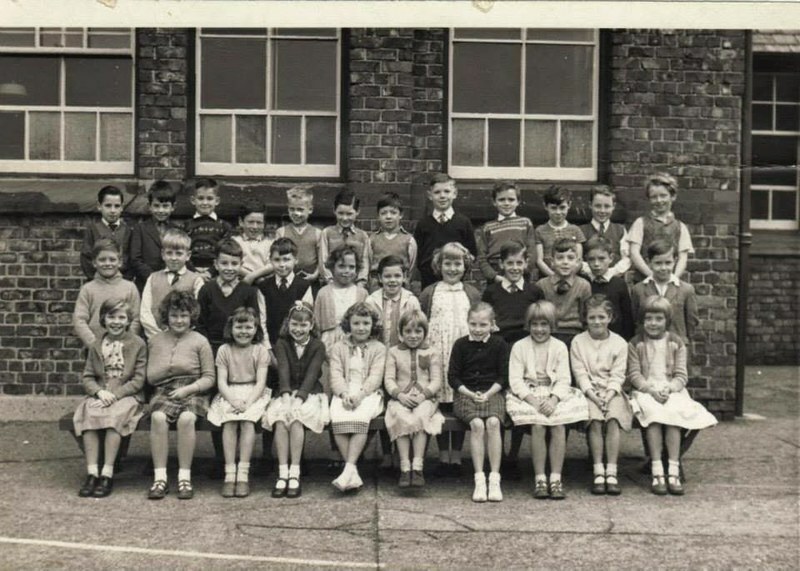 The 1960 pic is of the year below me and I recognise many of the faces but can't recall too many names. 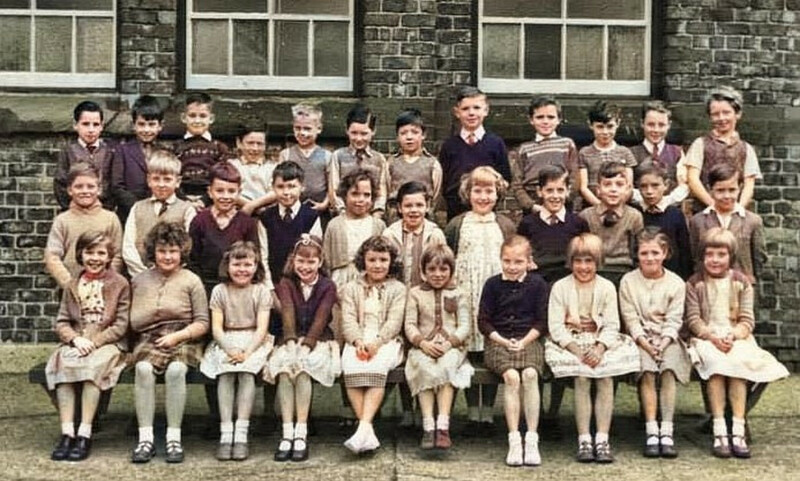 On the back row that's defo David Fairchild 7th from left and it looks like perhaps one of the Pinningtons and a Billows at 4 and 5 from left. Could be a Jarvis 3rd from right. Strong family resemblances in some of the big Grayo families. Middle row; Eric Jenkins 4th from right? 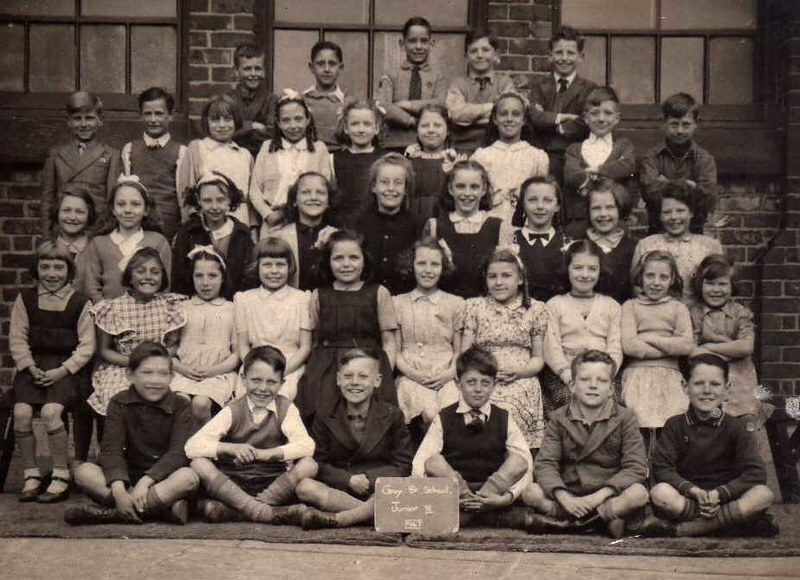 Front row;recognise many of these faces but only one name; Margaret Jones is 2nd right. Pretty sure Julie Arrowsmith should be somewhere on this pic too. My brother Don (born 1937) has had a look at this pic and confirms it's his year. For some reason he's not on it but was able to identify some of the kids. I think he's done great considering he hasn't seen most of these kids since he was 11 years old. Well done that boy! Does anyone recognise the names? From Building News January 29 1897. Bootle Council plans for Gray Street School.